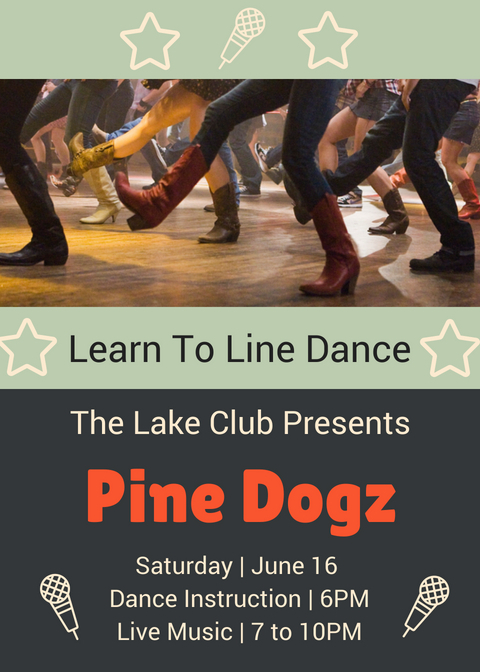 This Saturday, June 16th, learn to line dance at The Lake Club then take your new moves to the dance floor with The Pine Dogz. This will be a fun evening for the whole family. Dance the night away. Line dance instruction begins as 6 PM immediately followed by live music from 7 to 10 PM.